that included a Hyperdunk as well. so it is my ‘Air Mag’-runner. as it is grey with a clear sole and some blue or pink details. so I guess it was a Tier0. and it was sold out before it hit sale-racks, I think. 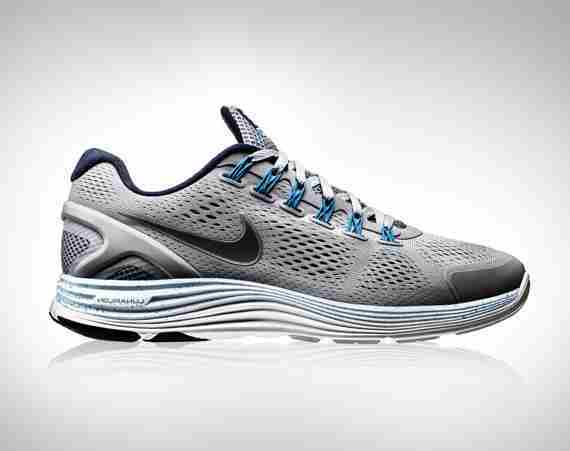 The third and fourth installment of the LunarGlide were the best. since this was the only one I liked, even with the available iD. so it was a combination of Nike’s best. I think it can hang with the best of them. it shows your style, not your wallet. Different color tips on the laces is a nice touch. It is one of the only runners in the Mag colorway (except for iDs). So it may be your only option for a Mag-runner. It was a Tier0 so it wasn’t really available widely and getting it now might be hard. Get it if you have a sweet spot for the Back To The Future-movies but don’t want to spend 10 000 € on a Mag. Don’t get it if you just wear retros.